Mascaras - there's tons of them. Ones to add volume, ones to curl, ones to lengthen... And let's admit it, a lot just don't work. Wouldn't it be great to have a magical mascara that did? Well, today's review is going to be all about a self-titled magic mascara. Eyeko's Black Magic Mascara is an award-winning, celebrity endorsed mascara that claims to add drama to the lashes as well as volumise, curl and lengthen them. The curved brush is designed to reach every lash and leave the final look clump free. As well as all of that, the formula includes shea butter and keratin to condition the lashes, is paraben free, waterproof and promises to lock in colour for 12+ hours. Eyeko also claim that there will be no flaking or smudging, yet it can be easily removed with warm water. It comes packaged a little differently to a lot of other mascaras. Instead of being in a long, plastic tube it comes packaged in a silver squeezy tube which will help to finish the product to the very end. The wand is still contained within a screw cap lid. My version of the mascara was received in a previous Birchbox, but the full size item also comes with a cute Eyeko branded plectrum to use as a shield during application. The first thing that I feel is worth noting is the fact that the formula for Black Magic is a little wet in comparison to some other mascaras. This is why I believe that the shield included is a great idea as it can help to prevent transfer to the eyelids and underneath during application, but without one then you will need to be mindful of this as you apply. Once it's dry, then this mascara definitely adds some drama to the lashes. They are noticeably longer with volume, curl and definition. With that said, I personally feel that it both looks and performs better when an eyelash primer is used. Regardless of the primer though, Black Magic has great longevity, so you can rest assured that it will last you throughout the day. It just has even better longevity with the primer as well as more oomph volume, curl and length wise. The only smudging that I have experienced with this mascara is during super hot days or if my eyes water to the point that it looks like I'm crying (which can happen on a sunny yet very windy day, which can happen now and then here in the UK, or during allergy season). Overall, this is the type of product that I prefer to think of when I think of Eyeko. 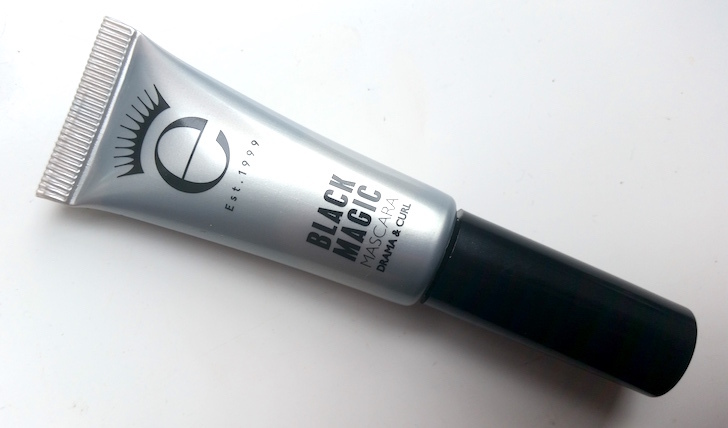 Whilst I may have not quite got on with their Fat Liquid Eyeliner, their Black Magic Mascara really is a fantastic product. Whilst I have only tried it in black, their blue variety is certainly on my wish list, and if any other shades are released then I am sure they will also be added. The Eyeko Black Magic Mascara can be purchased from Birchbox. What are your thoughts on the Eyeko Black Magic Mascara? What mascara is your favourite?